Nylon Cambella is a kind of hot-pressed non-woven fabric, using 100% POLYAMIDE (POLYAMIDE, POLYAMIDE) as raw materials, and after 220 degrees of high temperature hot pressure. The specific process is: the whole package of nylon chemical fiber after opening, after the opening of the loose machine, and then feeding the cotton machine to feed cotton, then pass the network machine, the chemical fiber into a soft and smooth several layers. At the end of the hot rollers, after a high temperature (usually about 220 degrees Celsius), the fibers are entangled with each other and become cloth. Nylon Cambella currently USES the largest width of the main machine in the country: 60 ‘(1.524 meters). The main range of gram weight is: 120 grams per square metre to 180 g/m2. According to the difference of the grain on the hot roller, it can be divided into: one word, the cross grain, the person’s word line, the t-line, etc. Nylon Canberra has a variety of colours in its low temperature dyeing. When dyeing, the cloth surface of nylon Canberra is higher and needs to be spread evenly. The weight deviation should not be too large, and there should be no pitting and obvious scars. Nylon Cambella USES non-woven technology, so it has the characteristics of high production efficiency and high yield. 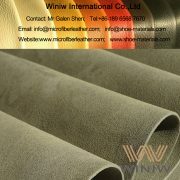 Nylon material has wear-resisting property, it is safe shoe inside, outdoor use boots inside the best choice. 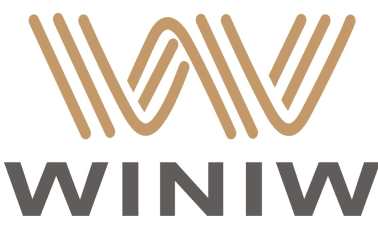 It is also used in bags and sailing materials. As a wear-resistant material, its purpose is still to be explored. What is the best leather alternatives for shoes? 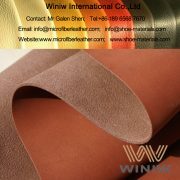 WINIW microfiber leather!